BackScratchers are the most exciting innovation in chiropractic patient education since patient education videos were introduced in 1981. Combining the fun of Trivial Pursuit with the excitement of Lotto Tickets, BackScratchers “gamify” patient education and make learning fun. 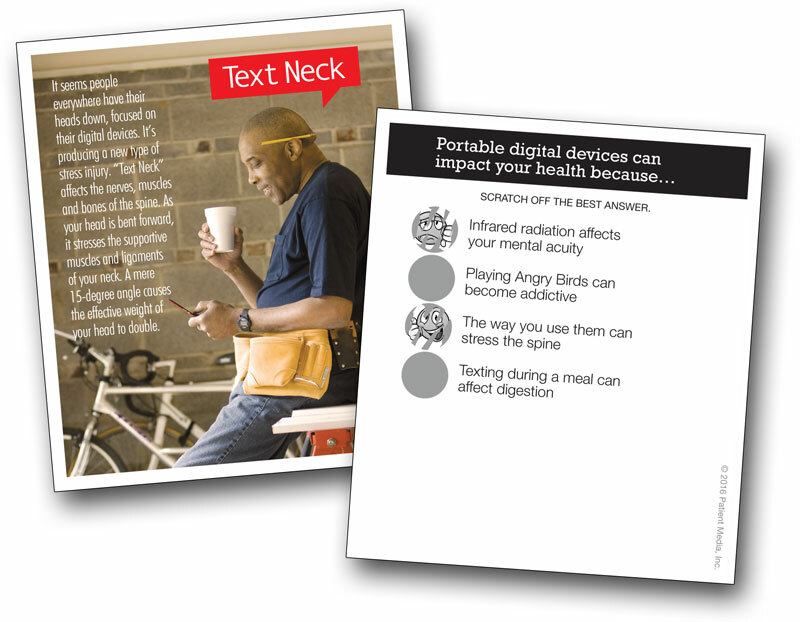 They provoke critical thinking and the short messages and interactivity engage today's patients in a way that brochures can't. Interested patients simply help themselves to a BackScratcher card on each visit, read the short chiropractic factoid and after considering the content, scratch off one of four answers on the back side. Review the deck of all 60 cards.